Practically from birth, we're taught by fairy tales that as long as we're pure of heart (and determined enough) that there will come a day when all our wishes will come true; everybody gets their happy ending. Though experience tells us that is anything but the case, we like to comfort ourselves with these tales -- so much so that over time even the stories themselves have gotten sanitized, their darker edges wiped away with a little fairy dust. "Into the Woods," Stephen Sondheim and James Lapine's beloved musical (and one of my personal favorites) casts a critical eye toward these stories, examining what other lessons might be gleaned from the stories we're told at night before the lights go out. Just as classic fairy tales are used to impart life lessons, "Into the Woods" has its morals as well, but the lessons it tells are that nothing is as simple as good versus evil, and "happily ever after" is not really a solution. The musical fits in with the current resurgence of revisionist fairy tales, combining the characters of familiar Brothers Grimm stories: Cinderella (Anna Kendrick), Little Red Riding Hood (Lilla Crawford), Jack and the Beanstalk (Daniel Huttlestone), and Rapunzel (Mackenzie Mauzy), with an original story about a Baker (James Corden) and his Wife (Emily Blunt, the movie's true MVP, along with Chris Pine as Cinderella's Prince), who both long to have a child. As the story of the Baker and his Wife begins, they learn that the reason they haven't had a child is because of a curse placed upon their home by the Witch (Meryl Streep) next door. In order to get the witch to lift the curse, they must give her four specific items: a cow as white as milk, a cape as red as blood, hair as yellow as corn, and a slipper as pure as gold. And so they venture into the woods in search of the items, crossing paths with the rest of the characters, each in the midst of their own stories. The first half of the musical sticks fairly close to the storylines we know, and by the end of the first act the good people get everything they desire, the bad ones get what they deserve. But where things get really interesting is in the show's decidedly darker second half, which follows the characters after their stories' traditional ending, as they discover that "happily ever after" comes with its own set of problems. This shift in tone has always been divisive, but this twisty second act is one of the reasons I love the musical so much. As everything becomes more muddled and unclear, the characters wade through murky moral questions, forced to deal with the consequences of their actions and the decisions they've made in pursuit of their goals. 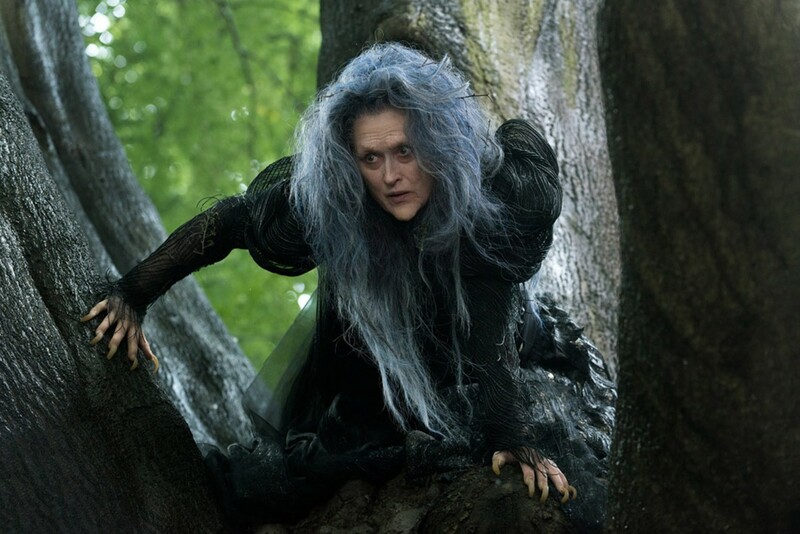 "Into the Woods" is pure Sondheim; its complex themes are married to melodies as gnarled and twisty as its woodsy setting, and director Rob Marshall deserves credit for getting it to the screen intact. But throughout, Marshall demonstrates a frustrating lack of visual creativity that detracts severely from the things he gets right. Several musical numbers are clumsily staged, and despite opening up the setting, the film often feels as claustrophobic as if it were still contained to a stage. It's difficult not to wonder what a little movie magic from a more visually inventive director might have done for the material.